Deck of Ashes — adventure roglite with tactical card battles. 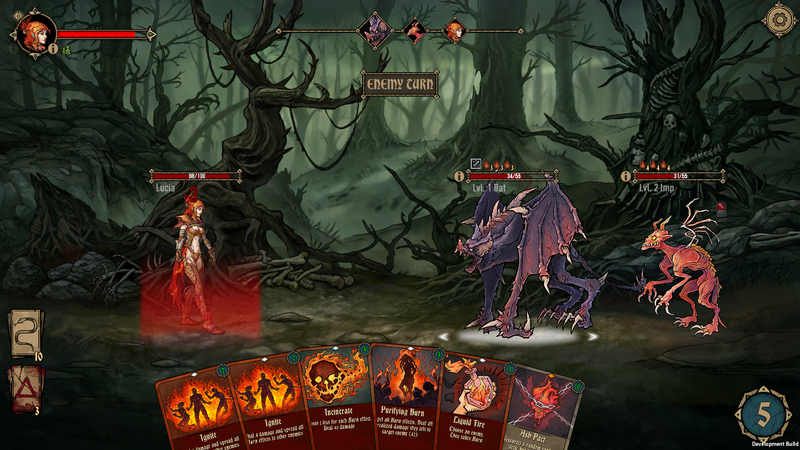 Explore the dark fantasy world and complete tasks, simultaneously collecting cards in a unique combat deck. 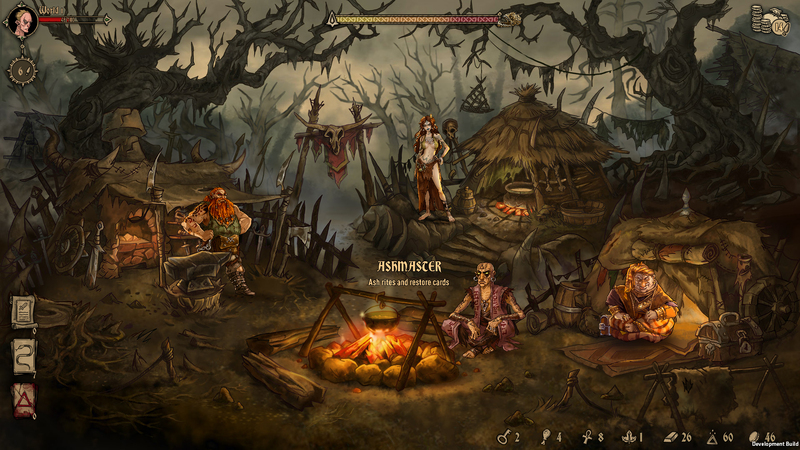 In Deck of Ashes, turn-based combat system, and to win you will need to think strategically. 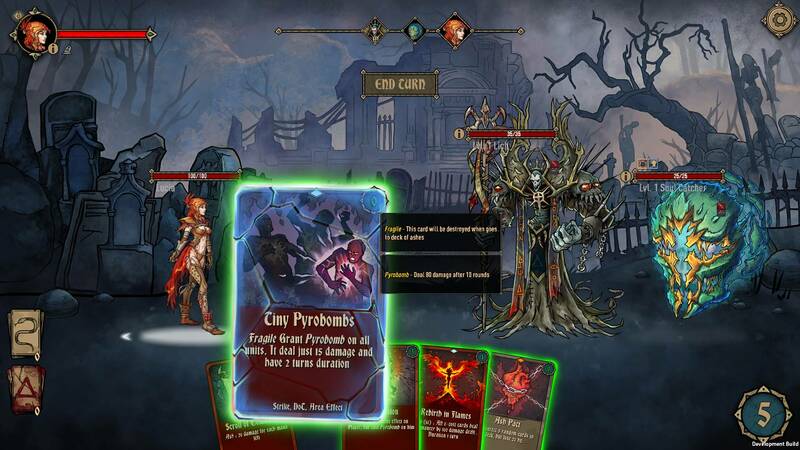 Each turn, a player spends mana or health points on a card. Opponents can also influence this — monsters can increase the cost of cards, burn cards, call other monsters for help and strengthen them. But you can cope with them, for this you need to skillfully use special cards — they are called Strike, Periodic Damage, Amplification, Healing and Attenuation — and count your cards and resources. Monsters before their turn will show players a card that they will play next, and this should be fully used in their strategy. Cards drawn in battle are sent to the Ashes Deck, and they cannot be used again in this and the next battle. But there is a trick — special cards for recovery right during a fight or rest. Creative deck — collect battle cards that match your unique style of play and crush the enemy! Unique drawn style of creepy art. Dynamic dark world of fantasy — travel through a processually generated, changing world in search of maps, supplies and glory! Different biomes in which different classes of monsters live — each biome influences the gameplay and offers a unique set of opponents! Survival and resource management — you have limited ability to restore health or spent cards, so use them wisely! Camp — strategically improve your base depending on your style of play. Permadeath — if you do not use the help of dark magic, then when you die, you die forever.